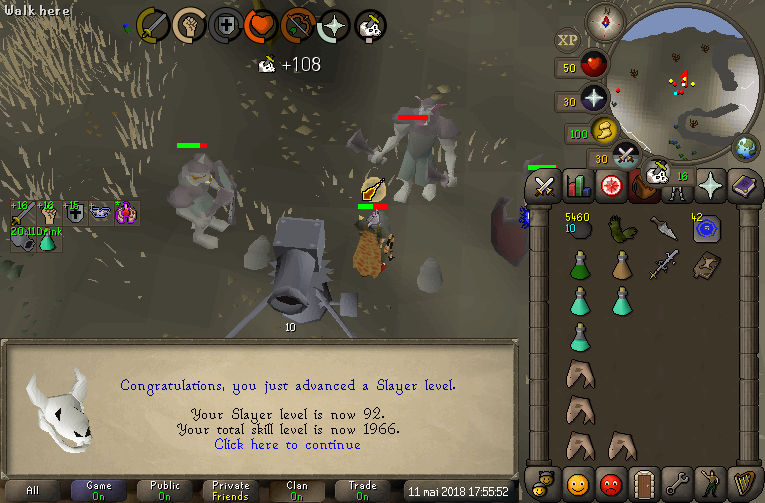 I think the goal I really want to accomplish in the near future is 99 slayer. It's a skill I really enjoy and the money I get from it could help me toward my future goals. 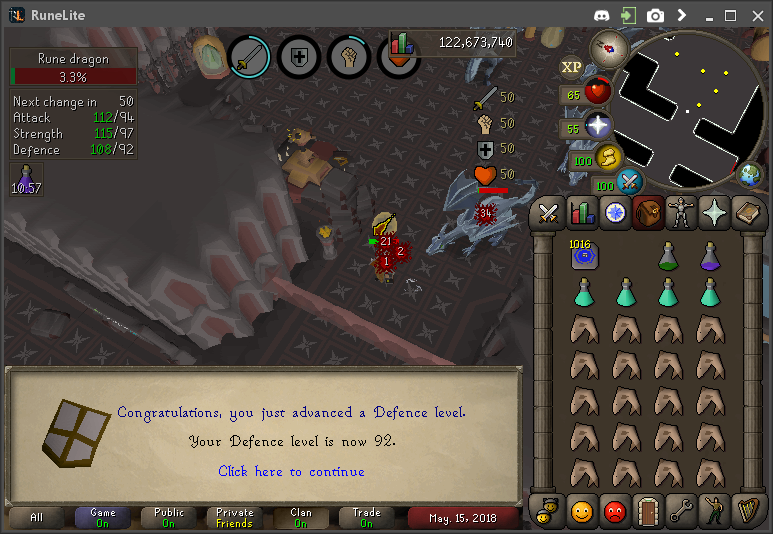 After that, diary capes will be what I aim for, since the rewards from diaries are really usefull in your Runescape daily life! 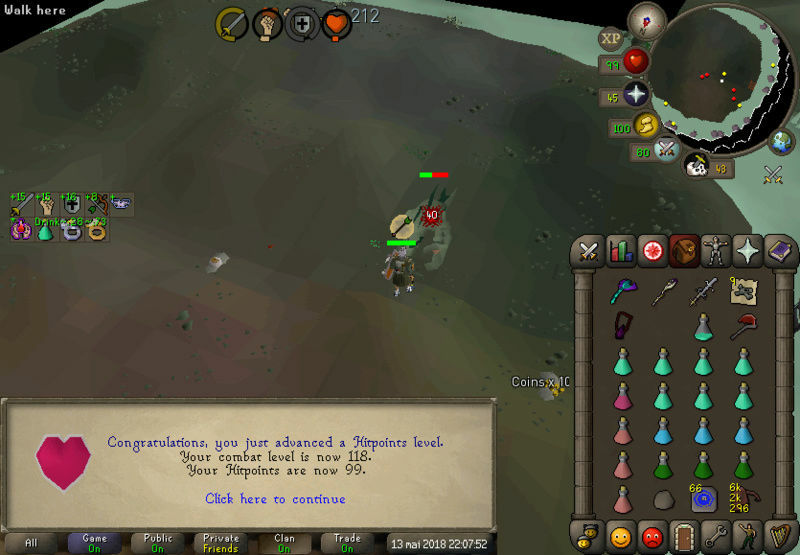 When I'm done with the Diaries, I might do some skilling, slowly and slowly going for the ultimate goal : Max cape. It will probably take a long time, but it's really doable with some motivation. 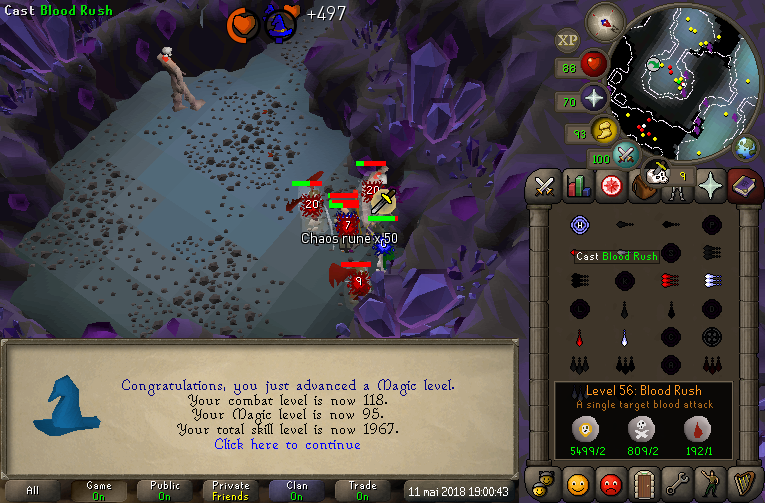 If I ever get bored of skilling, I'll probably train slayer and go for pets I love. - Occult Altar : For switchin between normal (Alching), ancient (bursting) and lunar (farm runs) spellbooks. So that's all I really am aiming for at the moment, will probably modify this short list if my goals change, but I highly doubt it will! I'll also try to keep this post up to date so you can know where I'm at! By the way, sorry if you had a hard time reading, I'm a French-Canadian (Master Race btw) so my english is meh. Whatever, see you later guys! 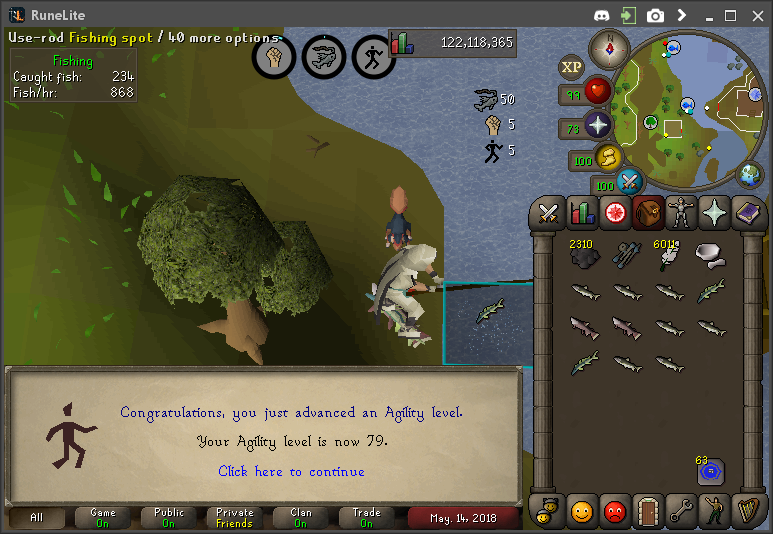 Sweet gainz! 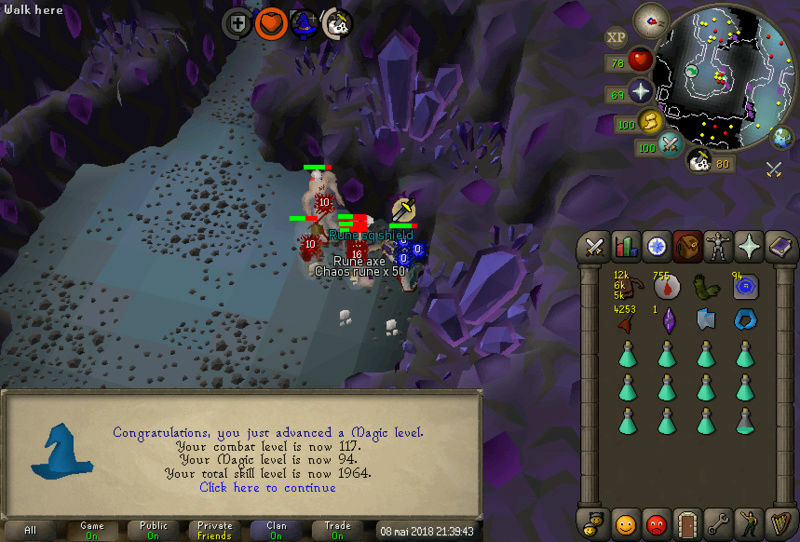 Gl on the grind! 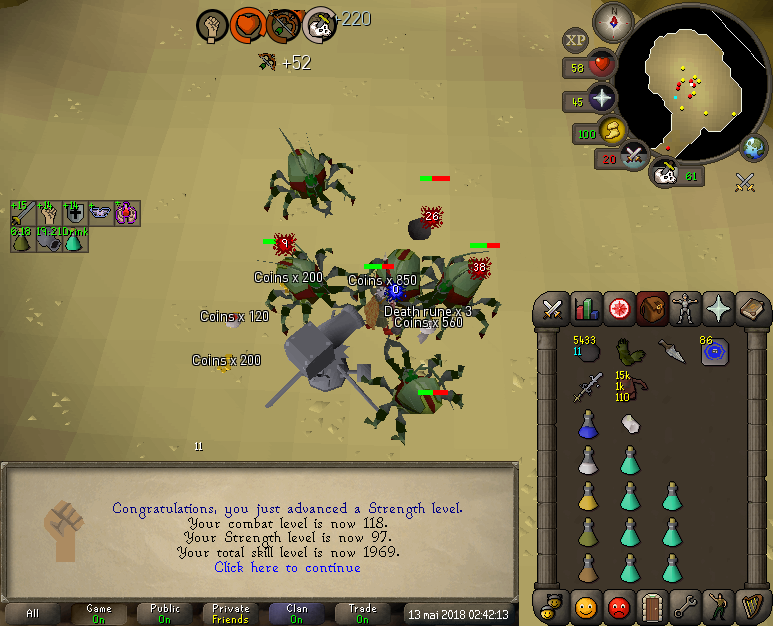 Got some levels this weekend Takes a long time to level up at higher levels, doing slayer, but it's fun so I do not mind it! 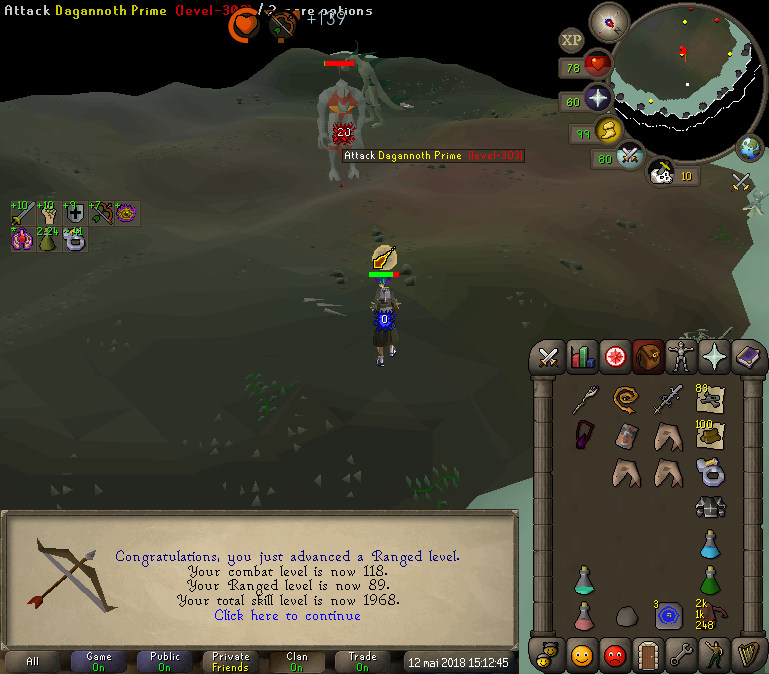 Happy about that 99 hp even though I didn't feel excited after getting it :/ Well whatever, let the gainz continue! Great progress man, keep it up. 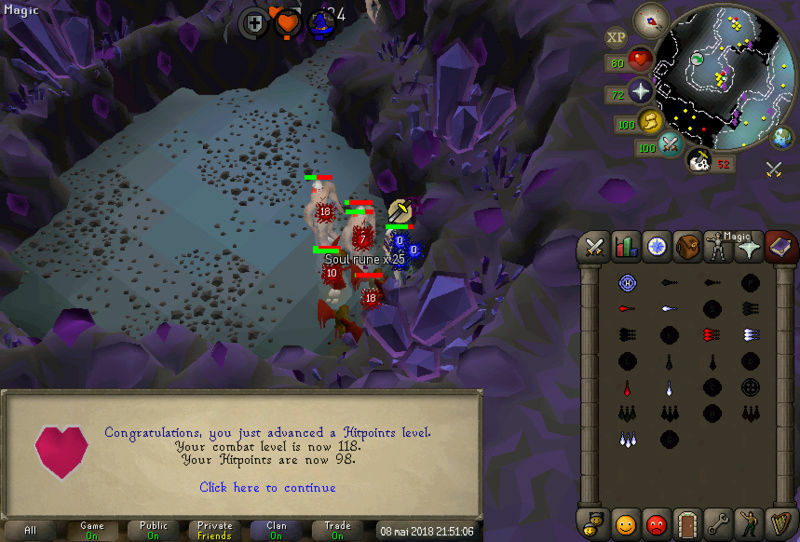 Grats on the 99hp! Haven't made much gainz for the last couple of days. Did like 2/3 hours of 3t fishing for the 90 fishing and agility level, then afked rune dragons while training my alt account for rune dragons. 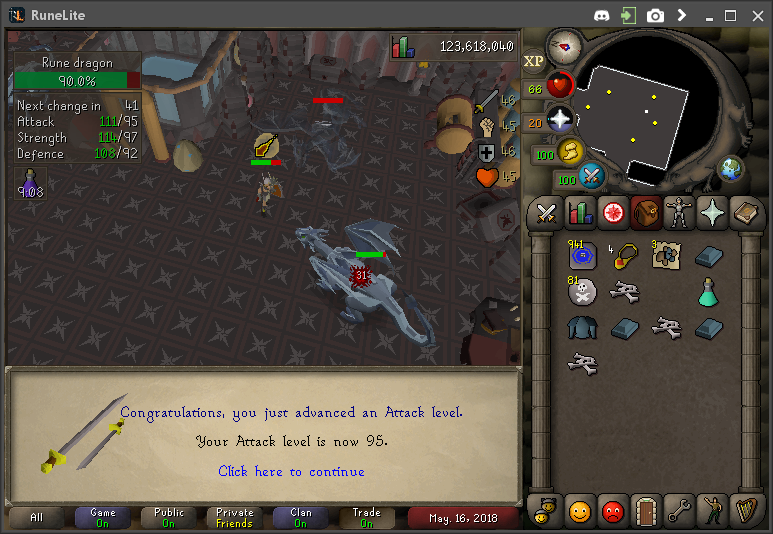 I'll get back to skilling after I start killing the dragons on my alt, and I might do some 1t cooking or 3t fishing, idk. We will see!